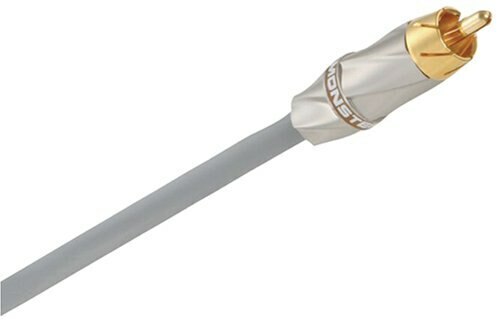 High Performance Subwoofer Cable for Enhanced Bass Response from Movies, Music, and Games Ordinary Audio Cables Don’t Maximize Subwoofer Performance Ordinary audio cables aren’t designed for the complex low frequencies a subwoofer delivers. Many feature inferior conductors with thin copper stranding that can degrade signal transfer for a muddy, unfocused bass response. Plus, poor construction prevents proper rejection of EM and RF interference, which can cause annoying buzzes and hums. Monster Cable® 400SW delivers deep, articulate bass that makes your favorite movies and music come alive. Monster® Patented Technologies for a Deeper Level of Bass Response With its superior technology and construction, 400SW outperforms other so-called “high performance” cables. A 100% Mylar® foil shield and high-density copper braid reject noise and hum. Solid-core bass conductors wrapped in a second wire network help maximize low-frequency signal transfer and pitch definition, so music and movie sound is always clear and dramatic. Plus, 24k gold contacts maximize conductivity and resist corrosion for a lifetime of durability and performance.